The Teen Economists: How will online education affect demand for traditional colleges? 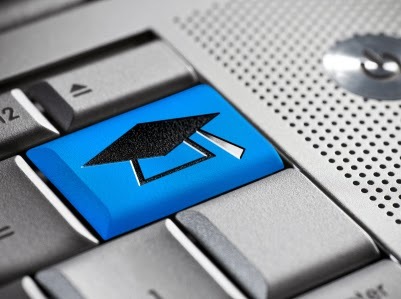 How will online education affect demand for traditional colleges? For decades, the image of an ivy-coated Gothic turret on a perfectly groomed campus has popped into people’s minds when they imagine an ideal education. Colleges are supposed to churn out legions of innovative and intelligent leaders, the people who will change the world with new technologies or policies. Their graduates should be equipped with unique ideas that they could only form thanks to their post-secondary educations. But increasingly, this ideal isn’t depicting reality. A change in the price of a substitute good, online education, has decreased. While online colleges such as the University of Phoenix have existed for years, only in the past two years have online college courses from top schools been offered for free. With this decrease in price of the substitute good, demand for expensive educations, especially from lesser-known schools, may start to decrease. In response, schools may be forced to lower their tuition or improve their product to compete. While online education is not a perfect substitute for a college degree, it can partially substitute for some aspects of the university experience, especially the raw content and the teaching of the professors in introductory lecture courses. In mass open online courses (MOOCs), from companies like Coursera and Udacity, anyone with an Internet connection can learn artificial intelligence and robotics from Sebastian Thrun, a leader in the field of self-driving cars and the director of the AI lab at Stanford, or American poetry from a beloved professor at the University of Pennsylvania. Students of these courses get the same content as enrolled, oncampus students, for free or a small fee of $80-$100 if they want certification. While many disparage the lack of student-teacher interaction in online courses, big schools’ introductory courses may not be much better. Imagine hundreds of students packed into a lecture hall, droned to by a professor who cares more about research than teaching. A friend attended a prestigious state university. Despite the hefty tuition fees, she didn’t have intellectually stimulating and supportive relationships with the professors of introductory courses where she was one among hundreds of students. As the Internet has spread and online education has increased in supply and decreased in price, thanks to MOOCs, it might make more sense to learn this introductory information online first. A recent Wall Street Journal article interviewed Ben Nelson, founder of the Minerva Project, a “reimagined university.” At his school, which will admit the first class of students in fall 2014, “introductory courses are out” - students will learn introductory economics and computer science online through MOOCs. As the price of online education, a substitute good, becomes increasingly low compared to the rises in college tuition, this alternative will become more and more attractive. Selective schools do have one undeniable advantage over MOOCs: their name recognition. Employers value Harvard diplomas. Salman Khan, founder of the educational video website the Khan Academy, has explained that education serves several purposes. Beyond just learning, one of these purposes is credentialing. One supposed downfall of the substitute good, online education, is that it can’t offer certification like Princeton or the University of Chicago can. However, increasingly, MOOCs are offering ways to validate knowledge to employers. For example, you can prove your knowledge of Udacity’s CS101 course by taking an exam through Pearson, a testing company, at a nearby location. Coursera also offers a signature track: proctors watch you taking an exam through a webcam, and your typing patterns are monitored to confirm your identity. Furthermore, at least one company is collaborating closely with colleges to offer a lower-priced substitute good. Udacity and Georgia Tech are offering an online master’s degree in computer science for $6,600. So for a fraction of the price of a master’s from a traditional university, you can earn a valuable degree from Georgia Tech, one of the country’s toughest and most-respected technological schools. The decrease in price of this substitute good will affect the demand for computer science programs at brick-and-mortar schools. For many, MOOCs may not be a substitute for a college degree from a physical campus. While I’ve enjoyed taking MOOCs in high school, I will apply to a range of colleges next year. For me, meeting other intellectually curious students in person, indulging my love of learning in an actual classroom, and gaining a credential from a well-known school will probably outweigh the benefits of MOOCs. But many others may want to consider whether paying a high price for a lesser-known school is worth it. As William Bennett points out in his book Is College Worth It?, students should think about the long-term return on their investment in college. The rise of online education illustrates a fundamental phenomenon of economics: change in the price of a substitute (online education) affecting demand for the original good (colleges and universities). Online education has become more freely available while colleges become more expensive. Because MOOCs are so new, they haven’t yet transformed the education system. However, as their credentialing systems improve and their students get better value for a lower price than at top schools, demand for online education can only grow. I´ve completed Udacity´s CS101 course on Python programming and I´m currently taking CS215, Algorithms and Social Networks, and CS046, Intro to Programming in Java. I highly recommend Udacity. Anna is a high school junior from the United States. She enjoys teaching economics to younger students, playing Baroque fandangos and chaconnes on the piano, overheatedly debating politics, obsessing over productivity, reading, coding, watching period dramas and sci-fi TV shows, cooking, and laughing. She is undecided on a career, but tentatively plans on majoring in either economics or computer science in college. Online degrees are definitely growing but I don't think physical school options are going to go anywhere. There raise is price is not surprising as it seems everything today is slowly but surely raising in cost. My son is in high school and he is taking his SAT shortly so I have hired a tutor to help prepare him but are such things even required for online schools? With help of Online Learning students can access their course at anytime from anywhere either from their home or at any place. Students, professionals and parents always have option to attend any class even they are buys with their working schedule. Students just need a computer and internet access to take online classes. The feature part' The rise of online education illustrates a fundamental phenomenon of economics: change in the price of a substitute (online education) affecting demand for the original good (colleges and universities). ' which is very tactful written and must beneficial for us. Very qualified job, keep next feature. awaiting.